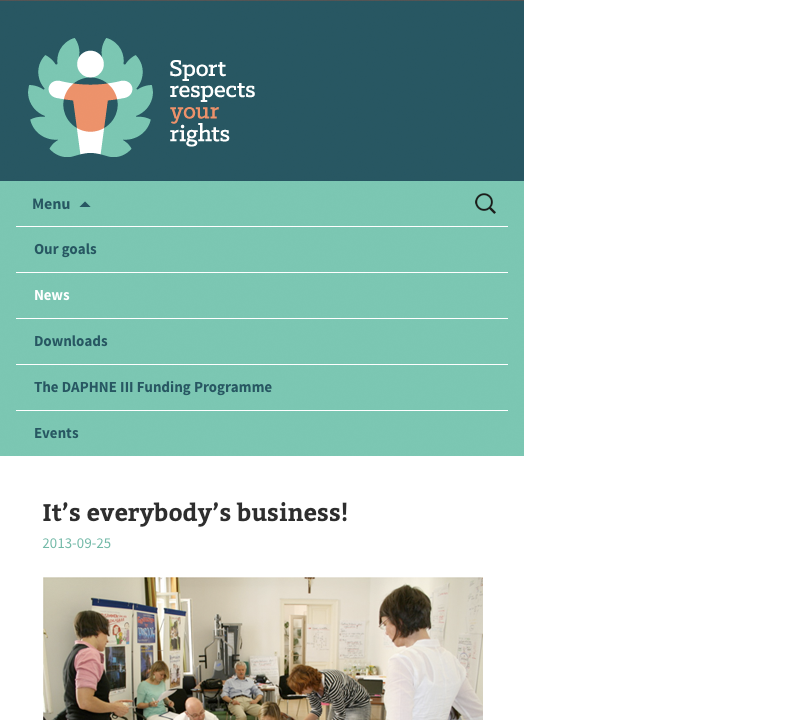 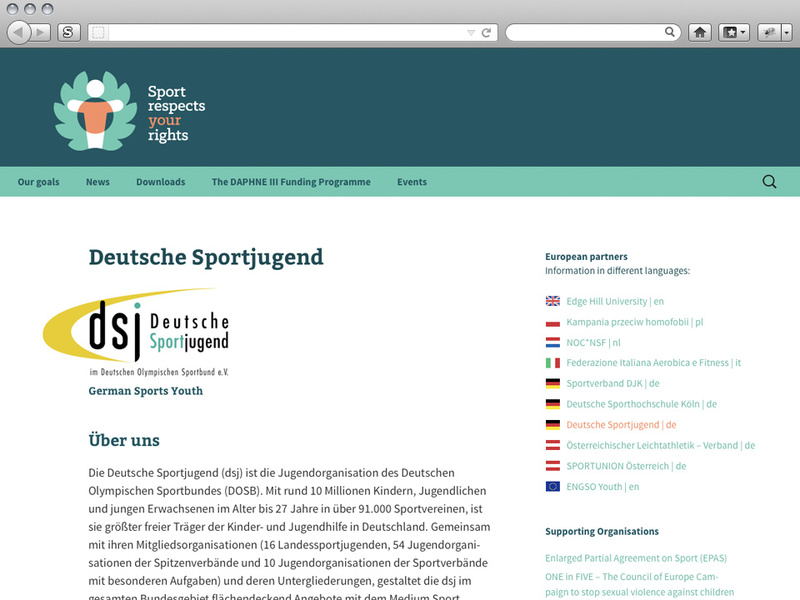 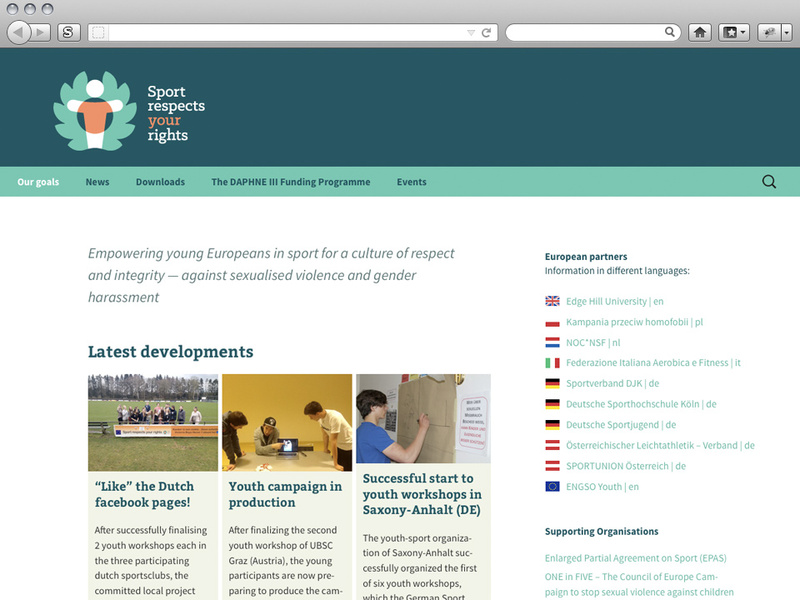 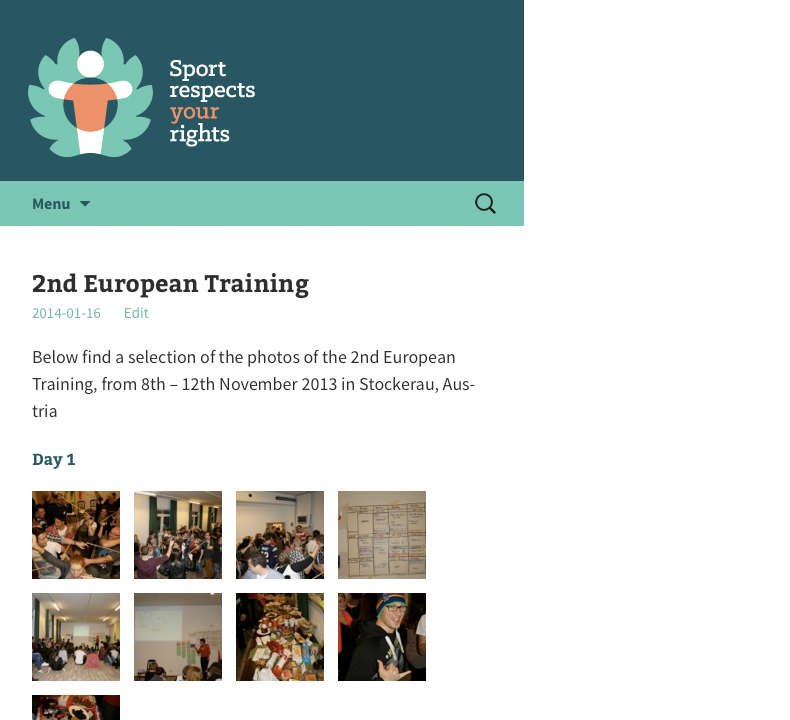 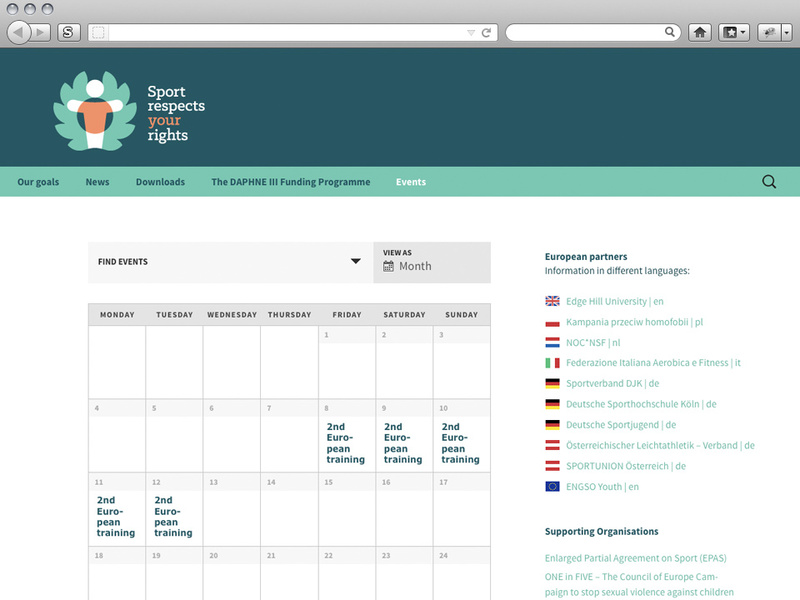 Web site design and implementation for Sport respects your rights, a Eureopean awareness campaign about gender harassment and sexualised violence in sports. 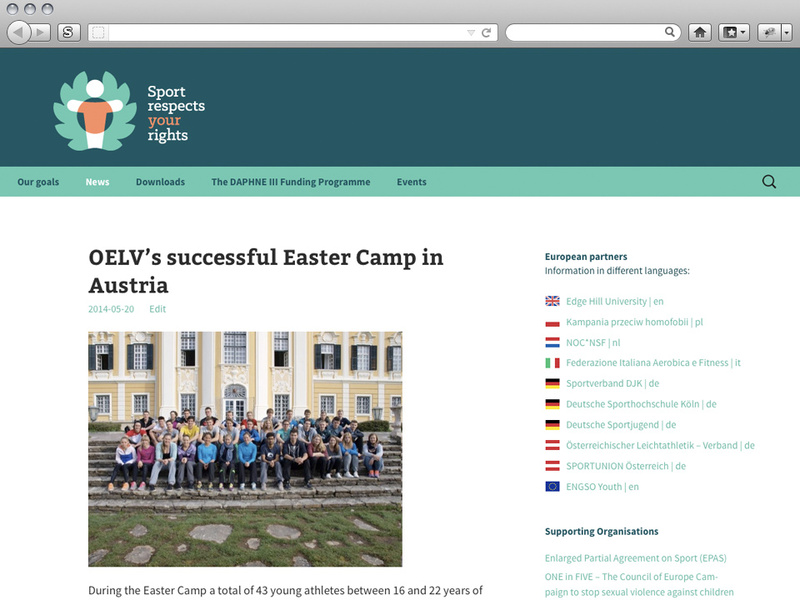 I did the logo and visual identity of the project as well, the site is maintained by project members (this is a WordPress site with a custom theme). 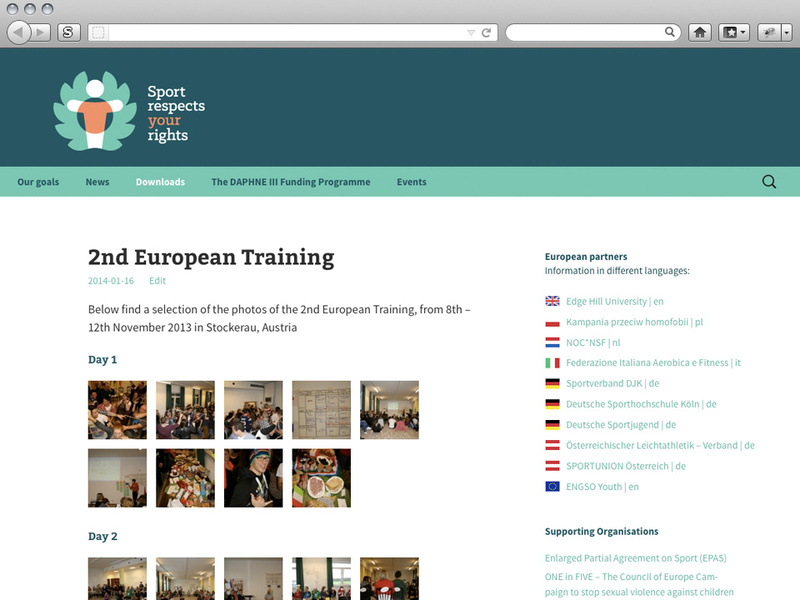 It went online in late 2013.